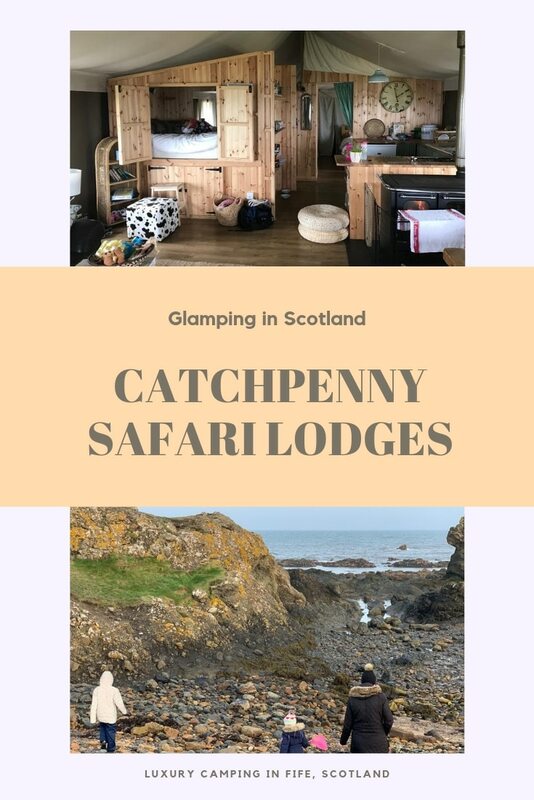 Whilst I was away recently Laura from The Breastest News blog visited the lovely Catchpenny Safari Lodges at Elie. 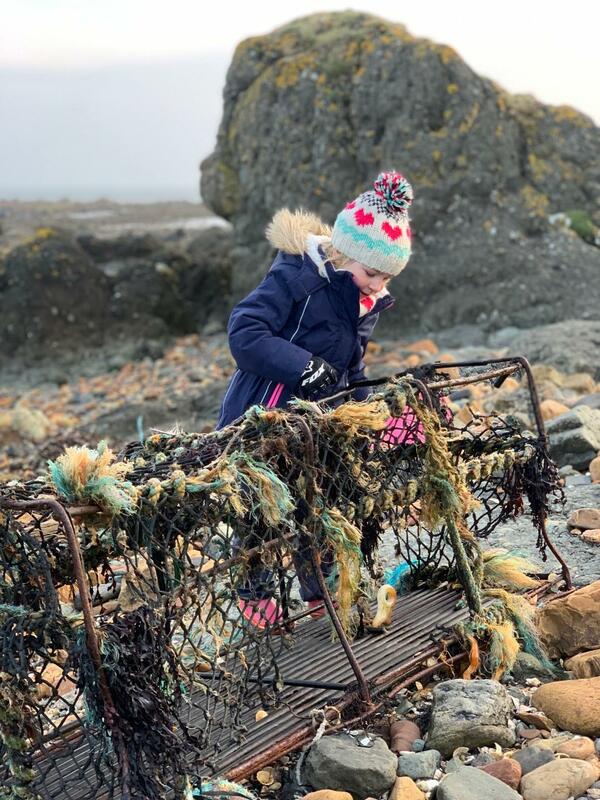 Pop over to her Instagram for more amazing pictures of the coastline and read on below to hear more about the lodges and surrounding area. 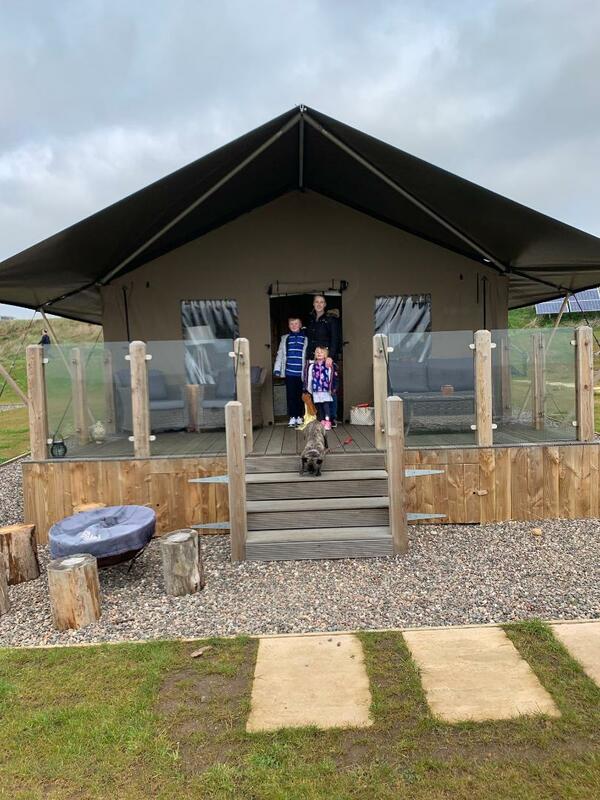 Our Easter school holidays kicked off to a fantastic start when the lovely Jenny offered the family and I an amazing weekend break at CatchPenny Safari Lodges in Elie, Fife. 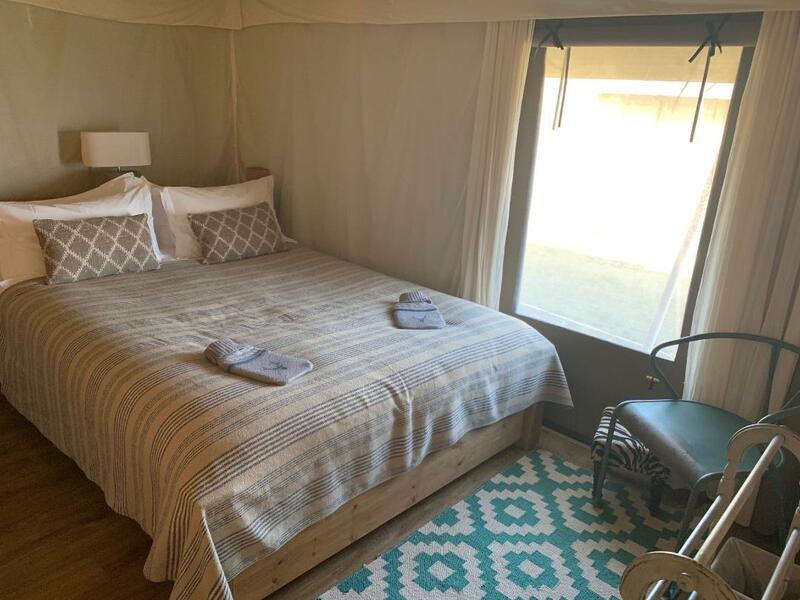 We’ve done a bit of glamping before but CatchPenny take it to another level. These beautiful safari style lodges, of which there are 8, lay nestled along the East Neuk of Fife. Right next to the beach with fantastic sea views for miles, you have prime access to the famous Fife Coastal Path. Like I mentioned, we’ve done glamping but these lodges are proper luxury. Each lodge sleeps up to 6 people and they are happily dog friendly, yay! 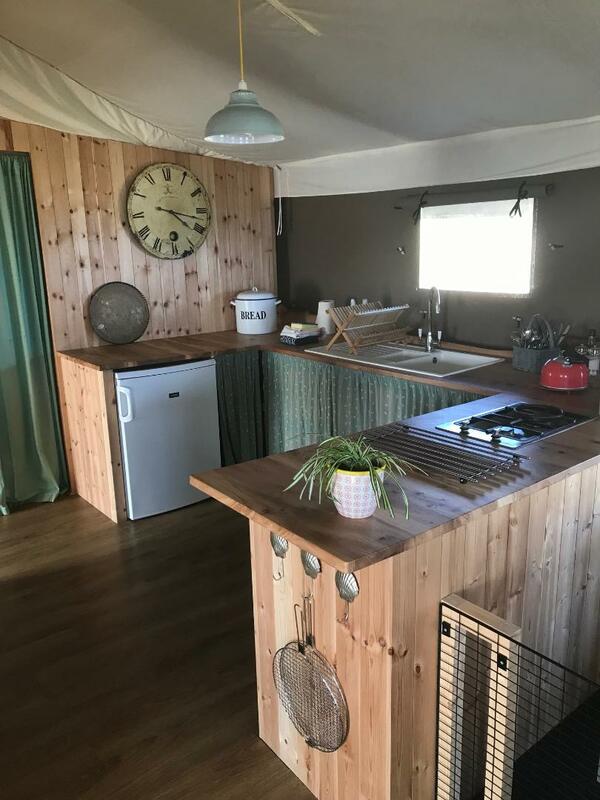 Inside the lodge you will find comfy beds, a proper shower and toilet, a well equipped kitchen and a log burning stove to keep you cosy in the evening. The log burning stove also doubles as an oven so heating the lodge and your dinner, win win. Bring cosy pjs and house coats for at night as it can get chilly but the lovely CatchPenny provide lots of blankets and hot water bottles for those cooler nights. The kitchen has everything you need apart from a toaster and microwave as three pronged plugs can’t be used but that just meant we could make campfire toast over a naked flame. My son, Logan, thought this was epic. Proper camping he called it. During our weekend stay we got a little bit of rain and it got quite windy but I’m glad to say the lodge stood up to the test. We were snug and secure inside whilst the weather did its thing outside. The lodges are run on solar and wind energy which is great and we had plenty of electricity as well as hot water whenever we needed it. Having a hot shower whilst camping is just the best feeling. We stayed for 3 nights as a family, with granny visiting too, and the kids had an absolute ball. We brought all our own food with some being bought from the nearest supermarket in Leven (15 minutes away) and also some firewood. CatchPenny can organise firewood for you or you can nip to the local garage in Colinsburgh to get more (5 minutes away). There’s also plenty of little cafes in Elie for something to eat or even head to Pittenweem for some tasty fish and chips. With being right on the beach it meant we could watch the tide as it came and went and pop out to do some rock pooling at the appropriate moment. Harlow had her own little net and I provided the bucket for the creatures so we were all set. 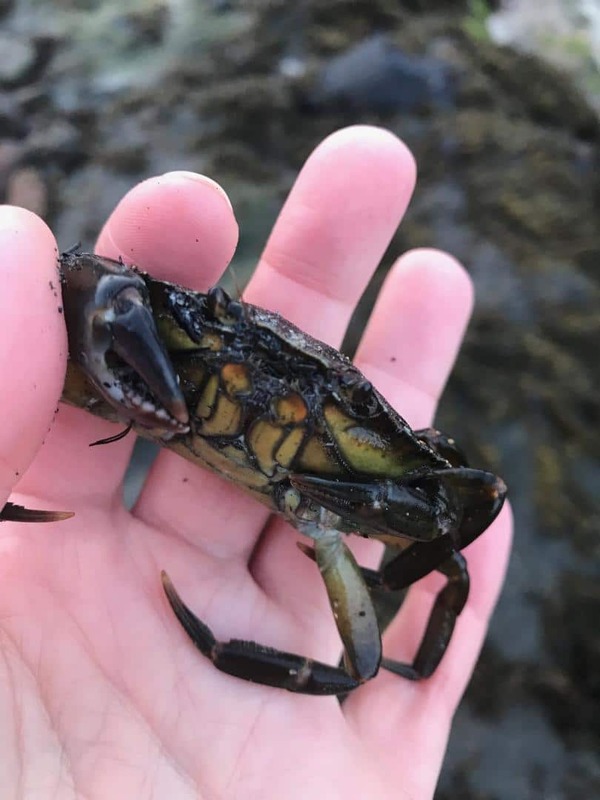 It’s a brilliant experience for children to catch some crabs and study them up close. 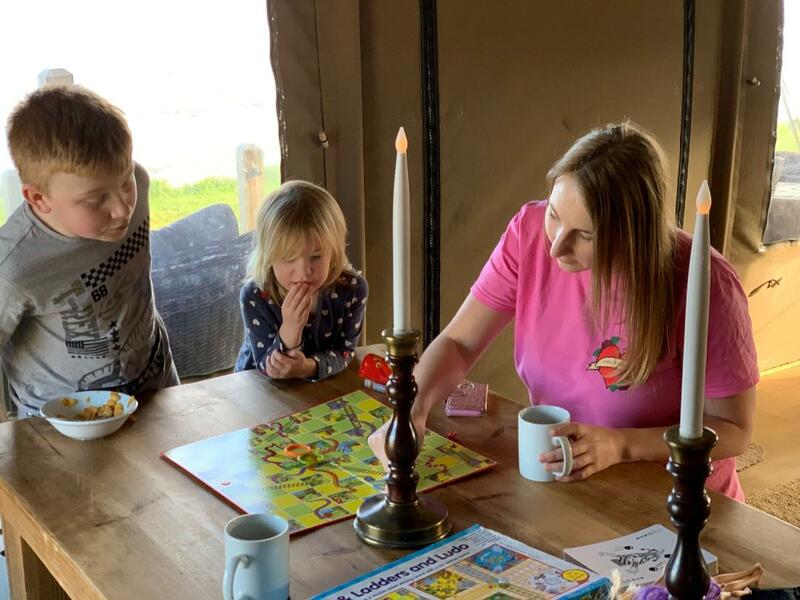 A lot of time was spent on the beach over our weekend stay and all that fresh air set the kids up for a good night’s rest snuggled in our safari lodge. Being on the Fife Coastal Path meant there was plenty to see and explore as well. 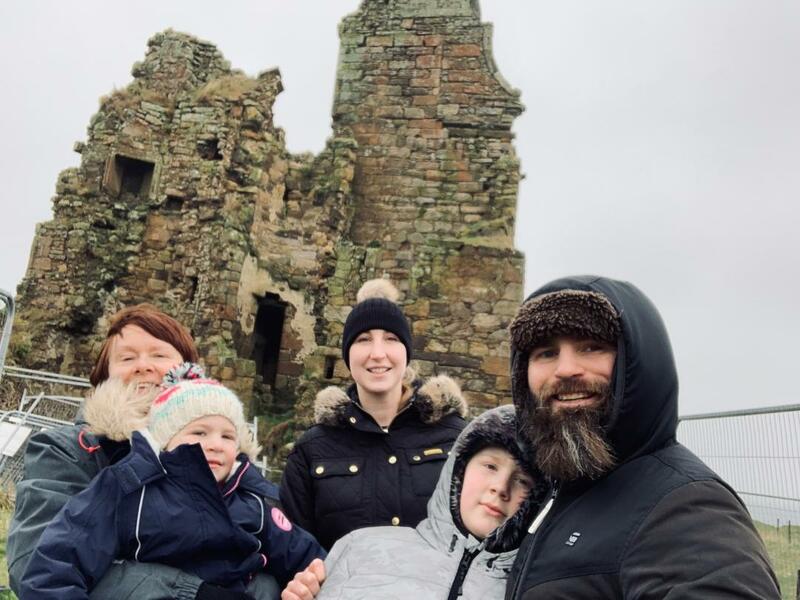 In one direction was the ruin of Newark Castle (10 minutes’ walk) and a beautiful little wind mill and in the other was Lady Janet Anstruther’s Tower (20 minutes’ walk) as well as Elie Ness Lighthouse. 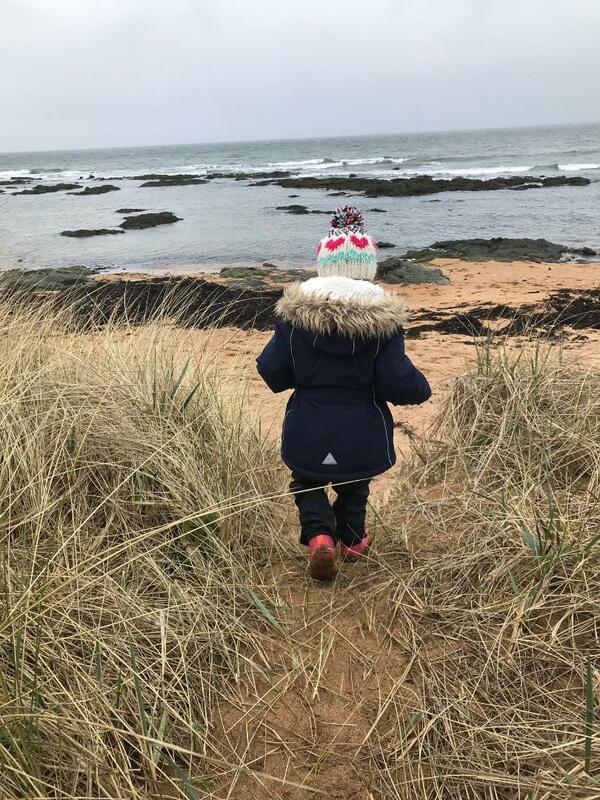 The walks on either side are great for the kids but I particularly enjoyed the route towards the lighthouse as there’s so many small golden sandy beaches to enjoy. I bet they’re even better in the summer months. If that’s not your thing though there’s tennis courts, golf courses, deli, farm shop, chain walk and extensive water sports in Elie for families to enjoy themselves. 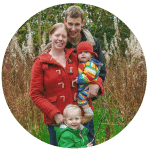 The award winning Ardross Farm Shop is just a 500m walk away and will cater for all your culinary needs. I hear they do lovely coffee for your morning cuppa. Overall the whole family enjoyed their stay at CatchPenny Safari Lodges. I really cannot fault anything about our weekend away and I’m sure we’ll definitely be back for another visit soon. 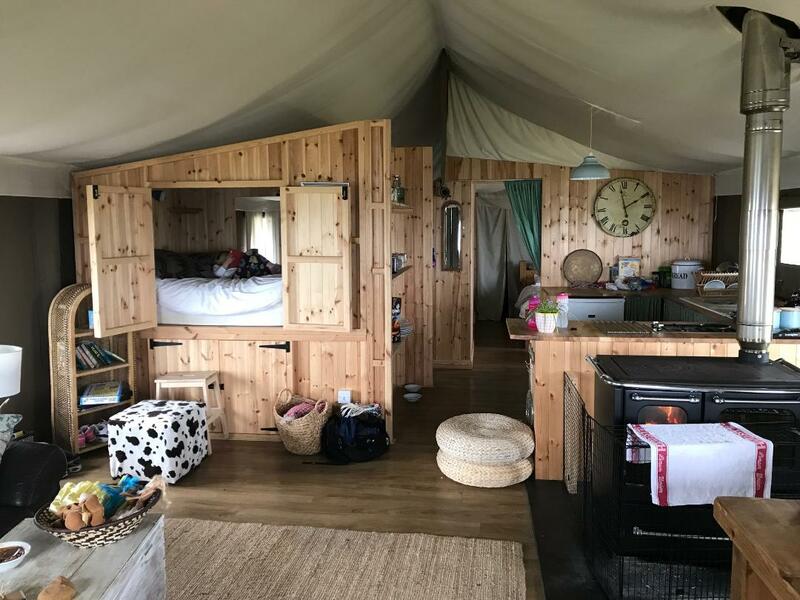 As you can imagine these lodges can be quite popular so make sure and check out their website to get booked in for your own luxury glamping experience. It looks so beautiful there doesn’t it!